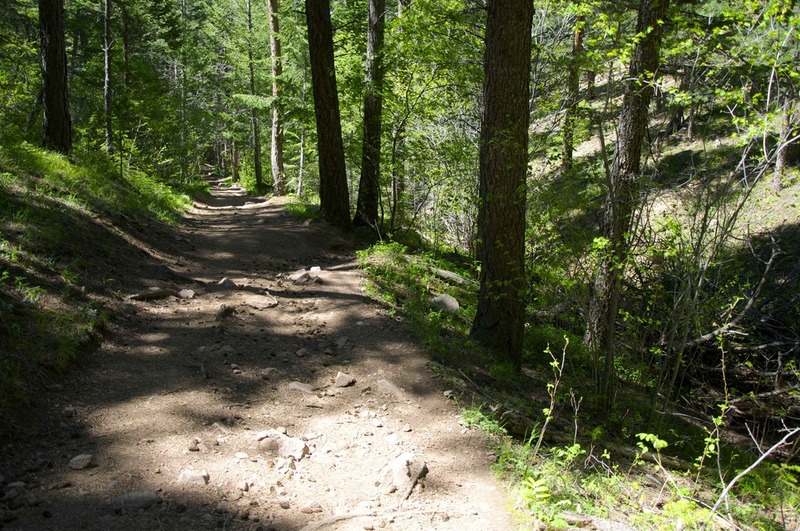 Description: This beautiful out and back 2.8 mile trail traverses parts of Ponderosa pine forest, features great views, smooth surfaces, shade from the summer sun and gorgeous vistas of both Boulder and the Continental Divide. While it rises over 600' over the course of 1.4 miles there are no difficult steep sections. Stone and wood steps are found in three places but are short and shallow. A new section added in early 2015 bypasses the damage caused by the 2013 flood. This is an easy trail that just about everyone can enjoy, especially during those summer months when it can be hot and crowded on the trails at Chautauqua. Challenge Level: Moderately Easy, 2.8 Miles, 600' Elevation, 1.5-2 Hours. Rated a moderately easy challenge for altitude, a short steep-ish climb on Ranger Trail and some short sections, rocky steps. Lots of shade for resting and a great lookout for having snacks at the end before returning down the trail. 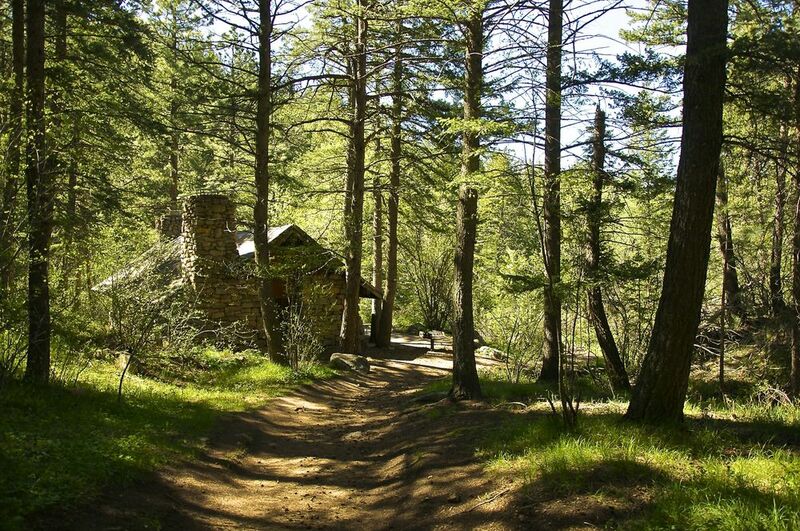 Trailhead: Go down the dirt road directly opposite Flagstaff Rd at the Realization Point sign about 100'. 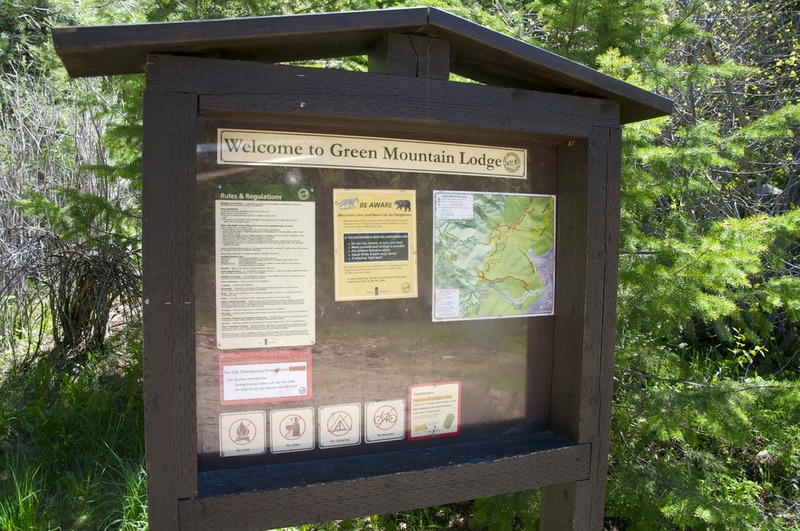 You will see the trailhead marked with a sign for Green Mountain Lodge. 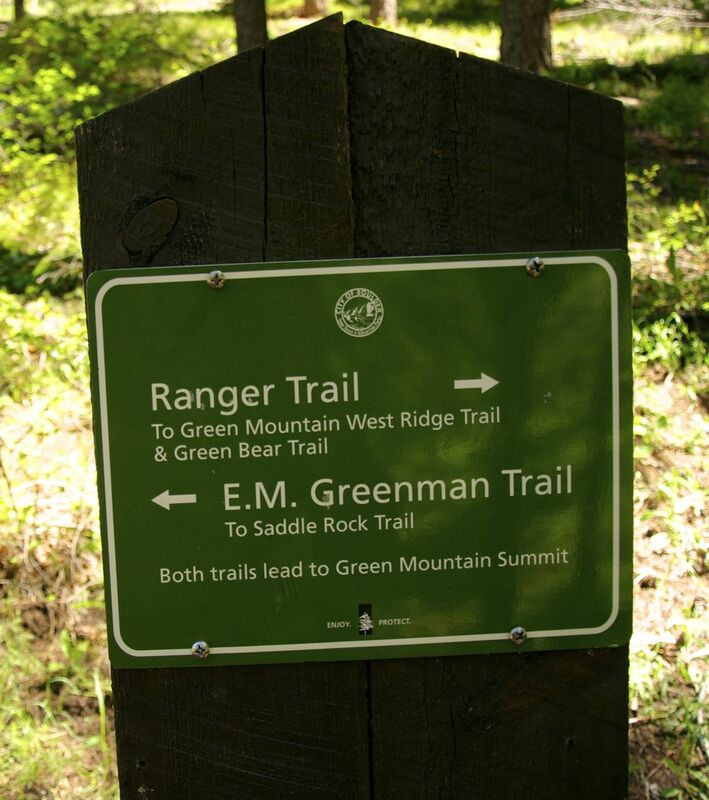 Trail Guide: Once past the trailhead sign for Green Mountain Lodge you will quickly come to a trail split. This is the new Gregory Canyon Trail section. Stay right and you will soon come to a map board just in front of Green Mountain Lodge at about 0.3 miles. Here you will stay to the left of the map sign, picking up Ranger Trail, which passes to the left of the lodge and enters the Ponderosa pines. Follow Ranger as it ascends through the pines along a small feeder tributary of Gregory Creek. This is the steepest section of the hike. Just past a series of wooden steps you will come to the intersection of E.M. Greenman Trail at 0.7 mile point. Here, turn back to the left on E.M. Greenman while Ranger continues on toward Green Mountain. Greenman climbs for a short period and then levels out some as it winds its way around the north side of Green Mountain, crossing Gregory Creek. There are a couple of very small, slight switchbacks after you step across Gregory Creek. After these start looking to your left for some very impressive views of the Indian Peaks, Mt. Audubon, and the Continental Divide. A short distance further you will come to an overlook at 1.4 miles where Greenman meets Saddle Rock Trail. Take a well deserved rest in the shade and enjoy the views of Boulder. 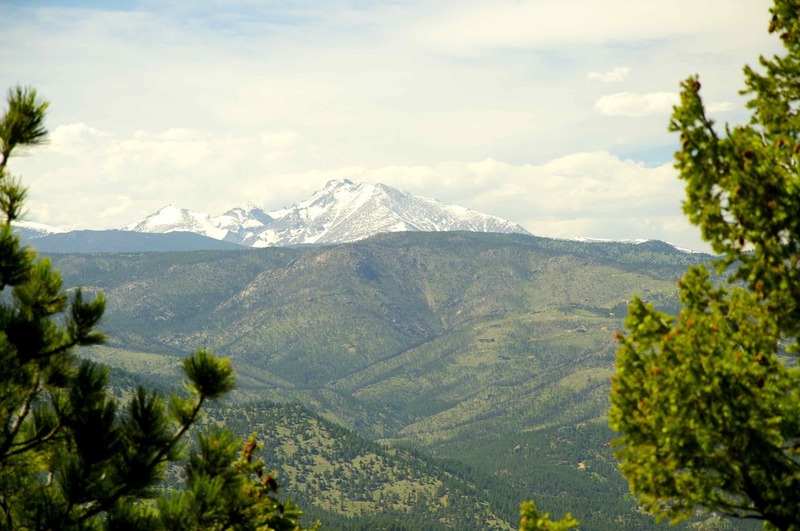 A peak through the pines on the left on clear days will yield a majestic view of Boulder County's famed Long's Peak at 14,259'. Once you have rested retrace your route back toward Ranger and then Realization Point. Après Hike: In honor of all the Ponderosa pines you will see on this trail I would recommend a cold pint of Wild Woods Brewery's Ponderosa Porter. Wild Woods is one of the newer micros in Boulder and they are certainly making a splash with their beers. I highly advise you to try one of their samplers as I generally can't decide which of their craft beers I favor the most! They are located at 5460 Conestoga Ct., Boulder, CO 80301. Picknicking: Lots of options up on Flagstaff Summit. There is a picnic table at Green Mountain Lodge at 0.4 miles. Many people will take snacks with them to the lookout overview.